Entry from the 1851 census. 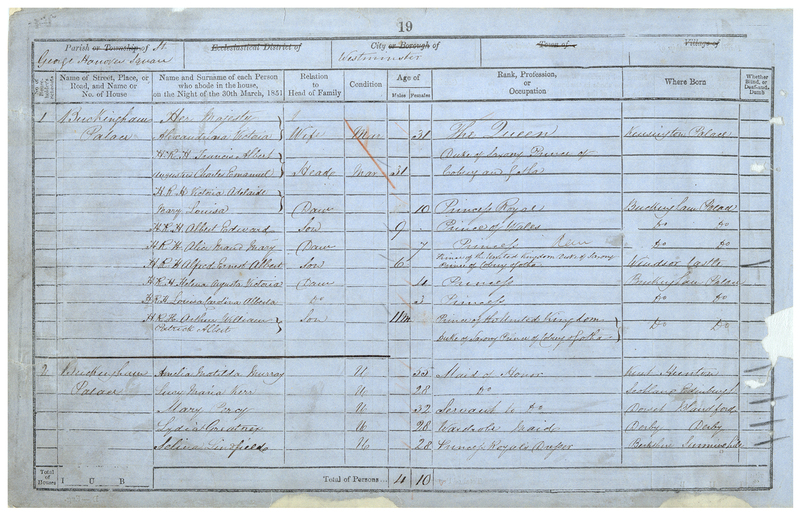 Whose census return for 1851 is shown here? Who is listed as the Head of the household? Does this give us any clues about how the Victorians viewed the position of women? Where was this family staying at the time of this census? How many children are listed in this family? Who else is listed with the family? Does anything about this document surprise you?